If you are experiencing symptoms from a concussion or post concussion, this supportive group is here to help you get through it. They offer a safe place where you can share your stories and receive support and helpful tools. For more information about this group and to receive updates on their meeting times and location please e-mail France at standingbymyside@hotmail.com. Mar. 20, 2019 at 1:30 pm at the Chartwell Retirement Residence in Oakville. Click here for more info. 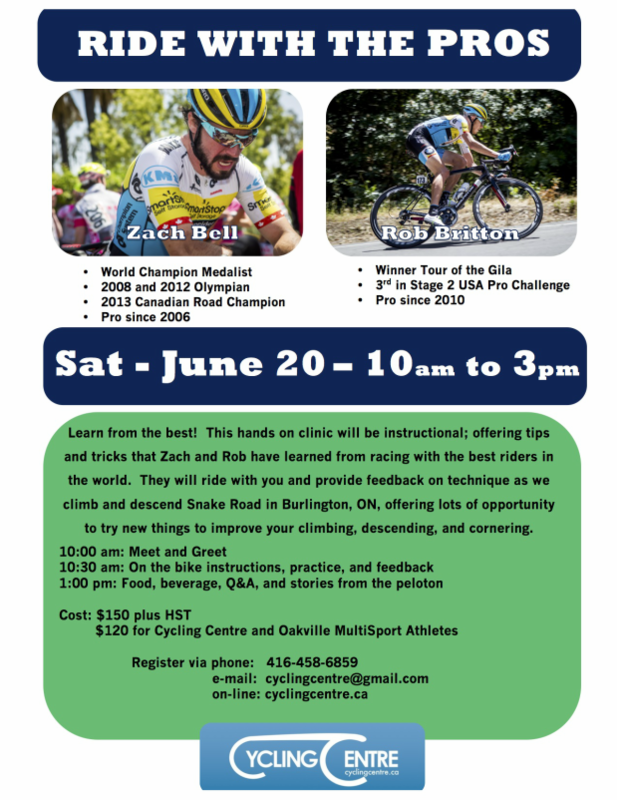 There are 4 clinics scheduled for 2018 to offer more insight on specific cycling skills. Click here to find out more and to register. Focusing on basic bike handling and riding skills, this is a great course for beginners and a wonderful refresher for more experienced riders. Learn how to efficiently change gears, nuances in body position and other tips and tricks to climb faster. Drafting is an important element to group riding and in this clinic you'll learn how to do it safely in different formations. This session will focus on how to stay stable and balanced as you turn at speed and will increase confidence for descents. Brien and Dre from Oakville Performance and Wellness are returning to lead a session on posture. Many of us spend the majority of our time slumped over our desks, looking down at our phones and iPads, hunched over our steering wheels and handlebars, hugging ourselves while sleeping, and it is leading to poor posture. The result of this is that we have become limited in rotating our necks and torsos, not to mention the neck pain, back pain, and overall stiffness that comes with bad posture. 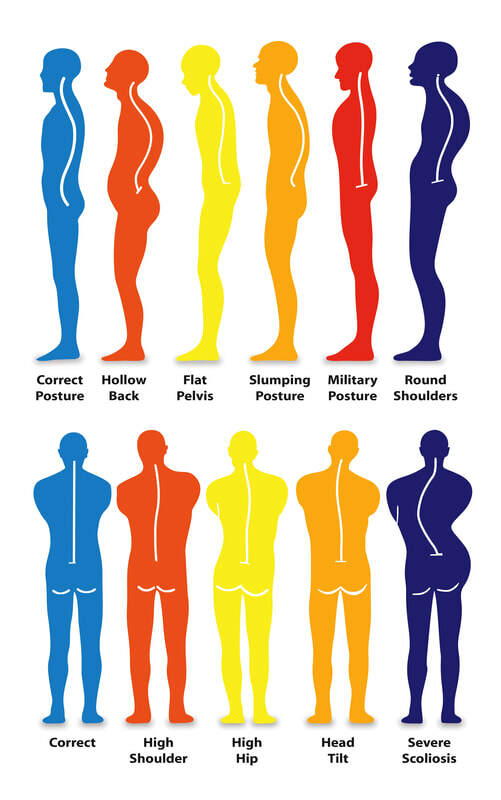 Posture also affects your breathing and your bike handling ability, not to mention the safety concerns of riding outside and not being able to keep your head up or shoulder check correctly. ​Everyone can benefit from this session and there are bound to be some AHA moments! Wear clothing you can move in as we will be moving and stretching through different exercises. Do you have lots of balls in the air and are struggling to keep them afloat? Want to swim, bike, run, practice yoga, spend time on strength and core and agility and mobility and and and? This session is designed to offer you guidance on your specific training calendar and training plan. We ask that you write down your goals, what your training week looks like, and other info that you are struggling with (i.e. 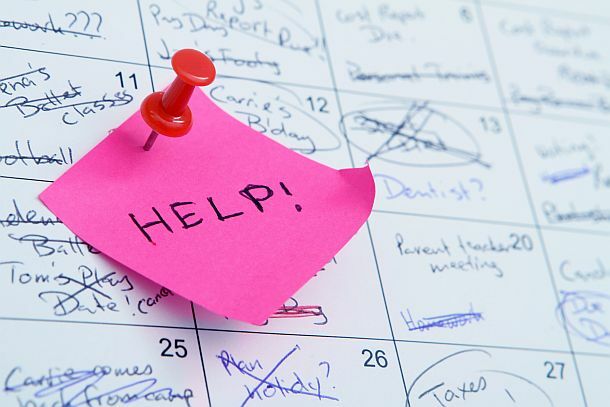 ; adding elements, feeling tired/sore, how to schedule rest around races/events, etc.). This is not only helpful for athletes racing, but for all people who are participating in exercise activities! Coaches Rob and Petrina will sit with individuals or small groups to go over your plans and help you lay out training days and workouts, how to balance your different programs, activities, and daily life chores. We won't give you specific workouts, but we will provide guidance on what you already have planned. 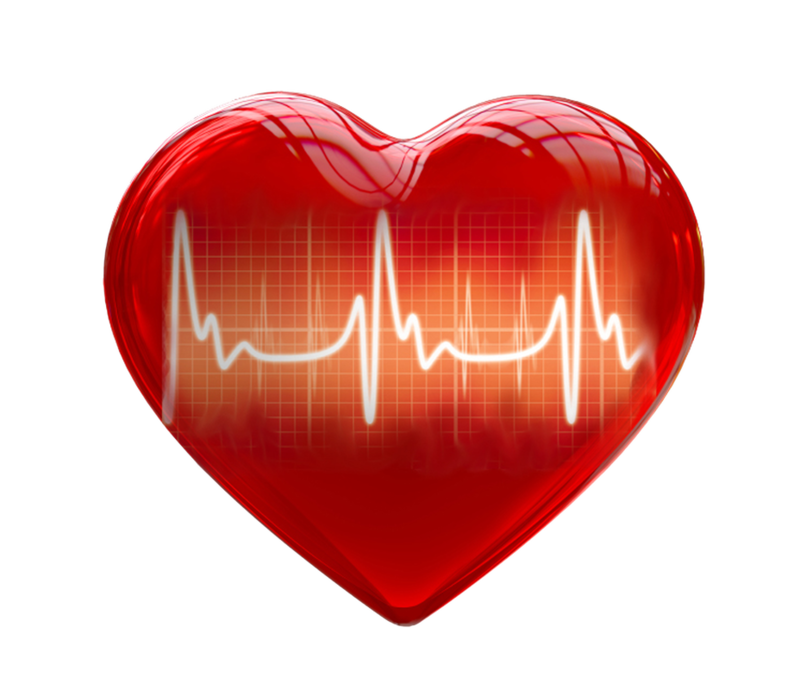 The good things and the bad things that happen to the heart as a result from exercise. Warning signs that your heart is in trouble, including signs that we may think are related to something else. Differences for women and men. ​The adrenals contribute to our wake-sleep cycles, sugar balance, mood, testosterone/estrogen balance, inflammation, and ultimately to our sense of energy and vitality. When the system is over taxed there can be multiple systemic problems that arise as well as a decrease in quality of life and decreased performance. Understanding the physiology can lead to more informed decisions regarding loading and unloading phases during training as well implementing methods of recovery-leading to greater performance gains. What you think may be sore muscles, poor flexibly, lack of energy, may be over taxed adrenals. How do you know? This is the question that will be answered at this clinic by registered Traditional Chinese Medicine Practitioner Josh Noble. Erica Salmon will be leading us in yoga for cyclists on Saturday, December 3rd at Lole in downtown Oakville. Following the fun on the mat we'll have a chance to peruse and shop at a discounted rate. The conviviality will continue as we meander down to Aroma for coffee, lunch, and more fun with friends. Time: 11:00 am starting with yoga, then shopping, then sociable at Aroma. Cost: Free. Discounts on items purchased. The indoor cycling season has started! This means the days are getting shorter, the outdoor miles and activities are decreasing, and most of us will put on a few pounds, but not this year! With the helpful tips of certified nutrition practitioner Claudia Hutchinson (bio), we learn why the off season is a great time to focus on and fix nutrient deficiencies, nagging injuries, and fatigue. Claudia will provide insight on how to avoid weight gain as our bodies begin to hibernate, and to lose some weight if that is a goal. Claudia is an avid triathlete and runner who has completed many triathlons including, Ironman Canada (2008), the World Olympic Triathlon Championship (2010, 2013, 2014, 2015), and competed in the Boston marathon twice. Claudia is a registered fitness appraiser, a certified spin instructor as well as an official and coach with the Ontario Association of Triathletes. She has 23 years of experience working in the corporate world and 10 years experience as a nutritionist.